During the winter, it can be hard to eat healthy and locally. However, we have some great farm to table winter meal ideas for you at home! At Catering by Seasons, we love cooking with locally sourced ingredients, and we won’t let a little bit of snow keep us from that! Our partners at Groundworks Farm provide fresh organically grown vegetables from their greenhouses, eggs from their pasture-raised hens, and grass-fed meats. Chef Kyle Vermeulen does a fantastic job pairing these farm to table flavors into unique winter dishes. This roasted duck with tri-color carrots and mashed sweet potatoes was a hit with the Catering by Seasons team. 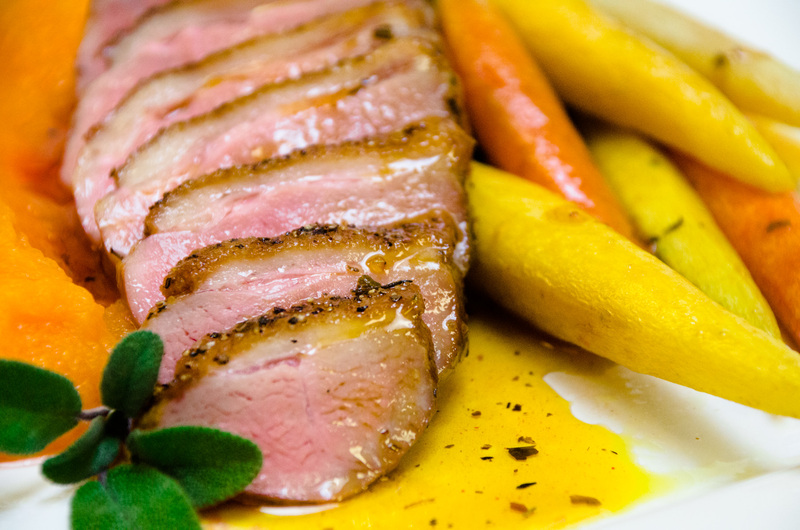 The duck is juicy and flavorful, providing important protein. The carrots and sweet potatoes are savory and filling, with lots of vitamins and other nutrients. Make your own at home with locally grown vegetables and organic meats. You can substitute the duck for chicken or pork. If you are out of carrots or sweet potatoes, try roasted or mashed beets for a whole new flavor! Sometimes it is hard to figure out what to do with all of the beets you get from CSAs or winter farm stores. These healthy root vegetables are hearty and easy to grow in the winter, making them a farmer favorite. But not everyone loves beets, especially kids. Pickled beets are a good solution, as they can be softer and more flavorful. Try this Spiced Pickled Beet recipe with cinnamon and cloves for a whole new taste! 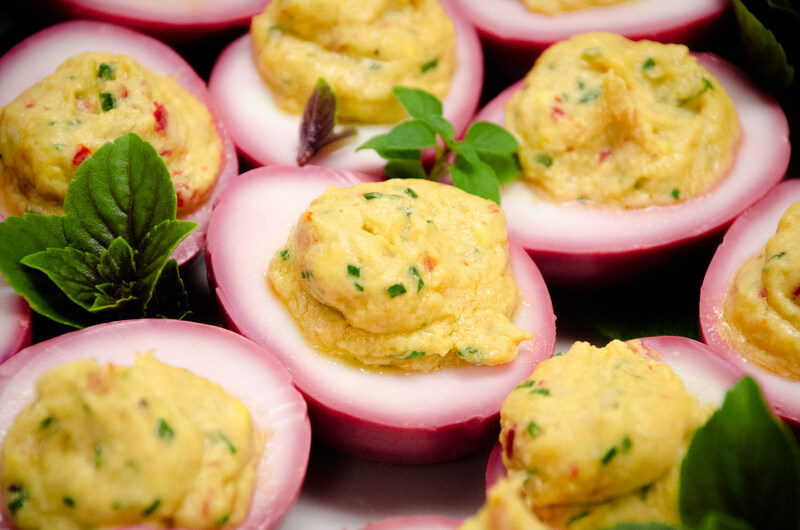 To make these flavorful deviled eggs, pickle them whole with your beets. Once they are a beautiful bright purple, you can pull them out and make them as you would any other deviled eggs, adding flavors to compliment the beets. These bright and colorful eggs will be a showstopper at your next house party! 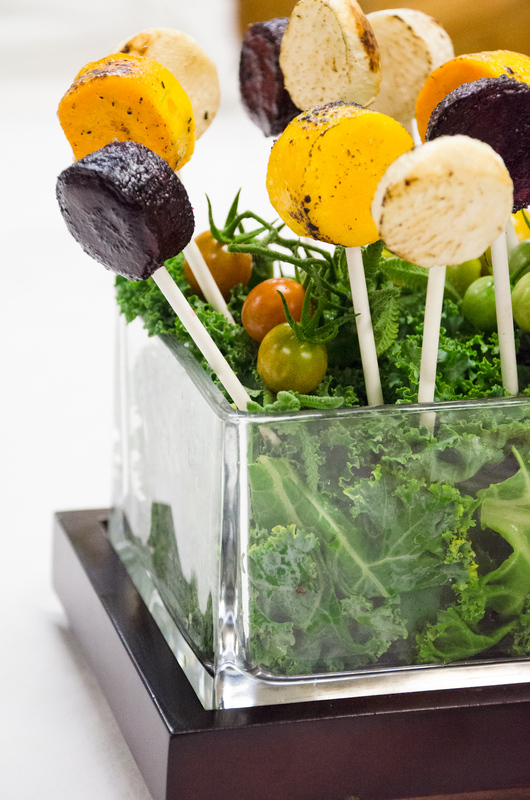 Another unique appetizer from Chef Kyle, these beet, butternut squash, and turnip pops are a fun way to eat your vegetables. Served with a hummus or tahini dip, these interactive treats are a great way to use up your winter vegetables from the farm. Cooking instruction for these vegetable pops can be a little tricky. First you have to peel the vegetables, but then you can use a cookie cutter (in any shape!) on the raw vegetables. Stars, circles, and dinosaur shapes make these treats fun and interesting for kids. Roast them in the oven until they are soft, then poke them with lollipop sticks. Make sure to have a plan for the scraps, too. You can puree them into soups or smoothies, or roast them also for a winter root salad. 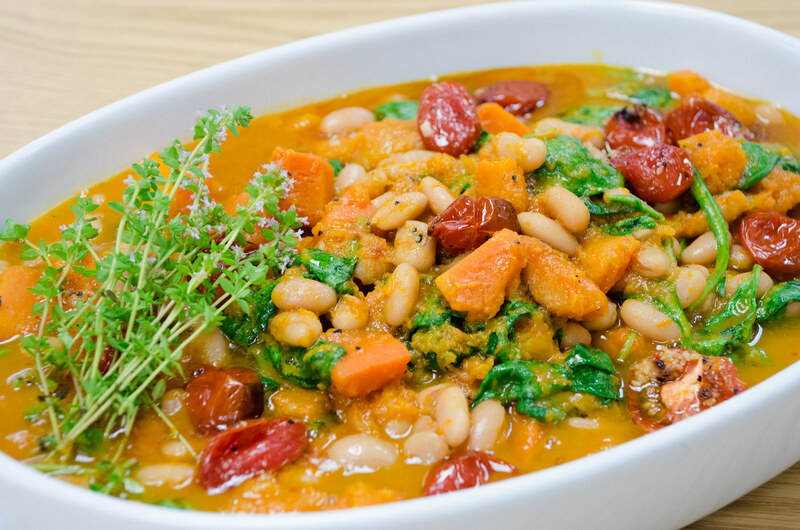 Chef Kyle’s vegan cassoulet with white beans, butternut squash, carrots, and spinach is a hit with vegetarians and meat-lovers alike. It is a flavorful and filling combination of local ingredients that is easy to make and perfect for the whole family. At home, you can make this great recipe in a slow cooker with vegetable or meat stock. Add pieces of chicken or beef to make it your own! For the omnivorous palate, Chef Kyle recommends a winter meal featuring local meats and veggies. 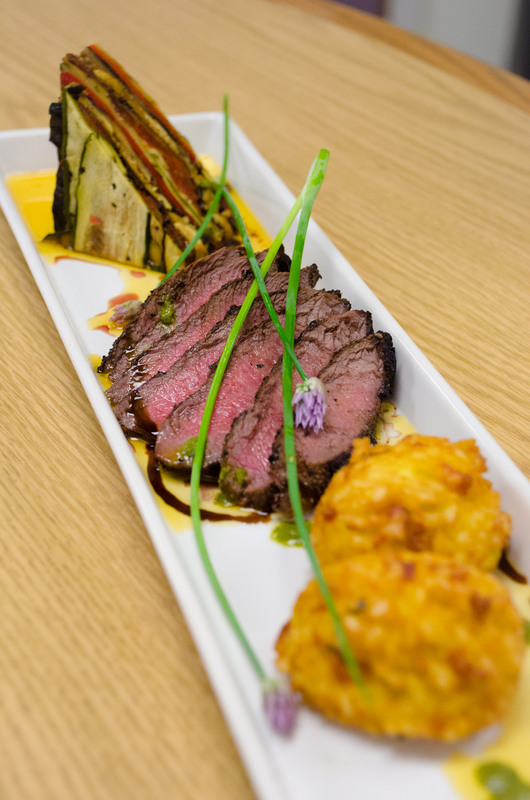 His peppercorn encrusted flank steak and gluten-free saffron risotto cakes are paired with a layered winter vegetable terrine to create a colorful plate that will brighten even the coldest winter night. Try it on your own with locally sourced grass-fed beef and a vegetable terrine of your own. We recommend trying a potato and leek terrine. Interested in a custom farm to table menu for your next event? Contact us today to receive more information.